Why did I receive a Security Alert when trying to contact Support? This is due to a few outdated links, not a third party attack. This error was shown when someone tried to use a link pointing to our old (no longer functioning) support center. Your data remains safe with us, and has not been targeted by any malicious third parties. 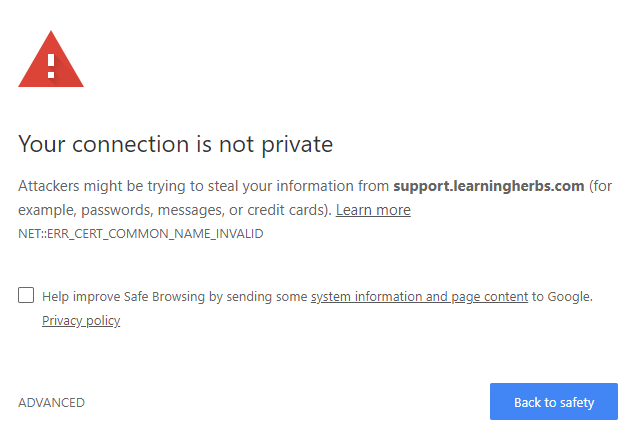 If you see this error in the future when trying to navigate to our Help Center, please email support@learningherbs.com or click on the little chat bubble in the lower right on any page to let us know where the erroneous linked you clicked is located. We apologize for any confusion or frustration.